This item has FREE Shipping. 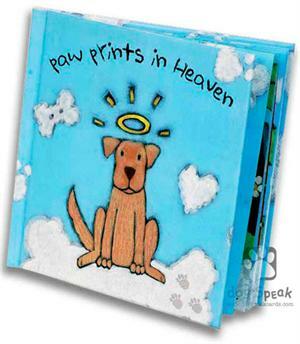 This book was written to bring comfort for pet owners who are grieving the loss of a dog. It is written by Connie Stubs and Kirby, and beautifully illustrated by artist Shari Sherman. A wonderful hardcover book that is 10 x 10 in. and has 14 pages. A quote from the book: "While there are different roads that we take in life, it is those who have walked with us that make the journey worthwhile." It continues with a dedication to "all of our furry four legged best friends."